If you have already played this game for a long time, you know how important it can be to pick up Football Outsiders cards in Madden’s MUT mode. But if you are a novice you may not be very clear. Football Outsiders cards can be some of the best cards in Madden 18 from a value standpoint, giving you some of the biggest stat gains for lower-than-usual coin investments. Football Outsiders cards are released on a monthly basis and are chosen by the Football Outsiders’ team based on those players’ real-life performances. Certain players that make the FO list are high-stat household names, while others are those that have stood out because of their advanced stats and future potential. Regardless of the reason players are chosen to appear in FO card packs, they can set your MUT apart from the pack — if you choose them wisely. The problem is that it’s not entirely clear how to find these players when scouring through all the cards in MUT Mode. Here’s how to do it. Football Outsiders’ cards can be found in Madden 18′s MUT mode by going to the Auction House. To get started, you’ll first want to choose MUT mode from the main menu and navigate to the Auction & Trades tab in the MUT submenu. Once there, choose Auction House. Next, go to “Program” in the Auction House menu (it will be the second-to-last option) and then select Football Outsiders at the bottom of the first column. This will highlight all of the available Football Outsiders cards currently in the Auction House. From there, you’ll be able to place bids or purchase them outright. But before you make any decisions, makes sure to compare them to the players already on your team! Although some of these FO cards are expensive, some of them are certainly worth looking at, especially if you’re partial to specific players and want to increases those players’ stat lines across the board. What’s more, investing coins in these players can take your MUT team to the next level — regardless of their Auction House prices. Looking for more Madden 18 tips and tricks? Make sure to check out our website: www.u4gm.com. 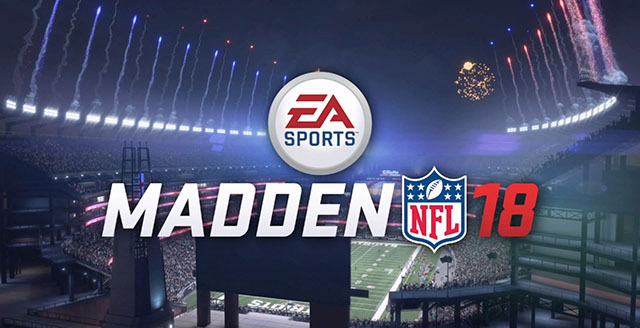 Here are some guides and cheaper Madden 18 coins for sale.